The Lucerne Hotel -- your home away from home in New York City's prestigious Upper West Side neighborhood -- is your destination for luxury accommodations marked by elegant decor and practical amenities. Choose from 202 spacious, sophisticated hotel rooms and suites in one of Manhattan's most desirable locations, steps from Central Park, Columbus Circle, and the Upper West Side's most prominent attractions. Luxury accommodations at The Lucerne include Superior rooms outfitted with Queen, Double, or King beds and Deluxe suites with kitchenettes, each featuring warm, inviting decor, plush bedding, and upscale amenities. Additional in-room comforts and amenities include flat-screen TVs with HBO and premium channels, Wi-Fi access, convenient 24-hour room service, an iPod docking station that doubles as a radio, Keurig Premium coffeemaker with gourmet coffee and assorted teas, and sensuous in-room spa treatments. The Lucerne Hotel’s comfortable NYC hotel rooms carry the Upper West Side’s signature air of sophistication along with an array of convenient amenities and features. Spacious, elegant, and outfitted with everything you need to enjoy a seamless stay in New York City, each Room invites you to kick back, relax and enjoy your surroundings. 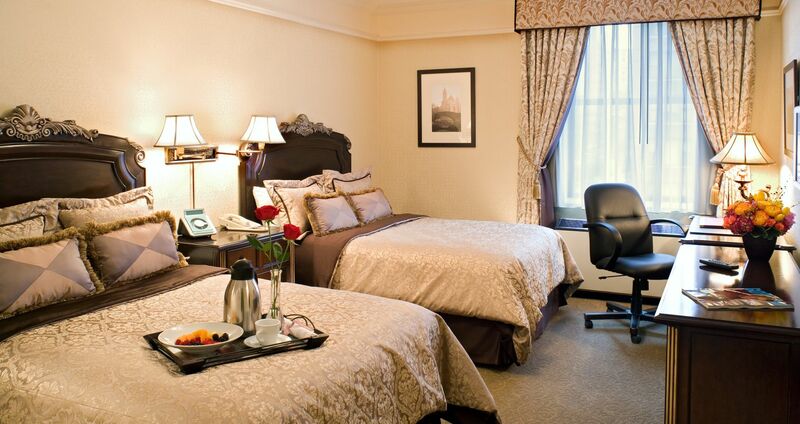 Take comfort in the upscale surroundings of the Upper West Side in The Lucerne Hotel’s suites. These spacious accommodations are designed with relaxation in mind, featuring high-end amenities and bath products, Wolfgang Puck coffee + a Keurig coffee maker, and plush bedding. In The Lucerne’s suites, every stay is seamless. The Lucerne Hotel’s Superior Queen Rooms are designed with comfort in mind. Upscale marble baths and luxurious appointments set the stage for refined stays, and an array of amenities ensure comfort and convenience abound around every turn. 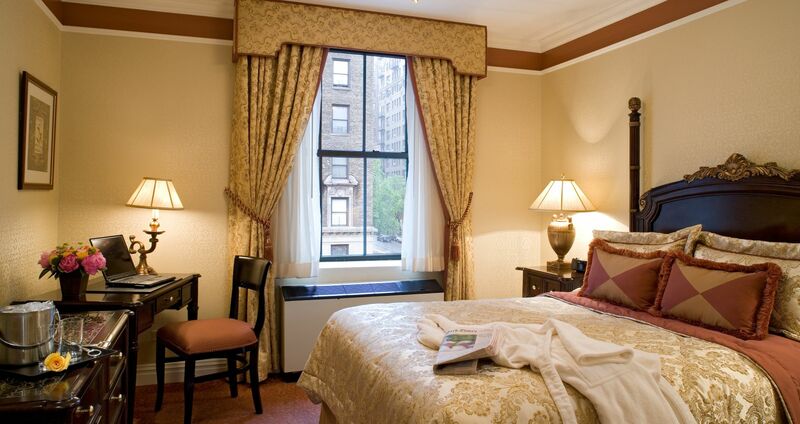 Find comfort on the Upper West Side in a Superior Double Room at The Lucerne Hotel. Equipped with the amenities and space you need to enjoy a seamless stay, each of these refined NYC accommodations provides thoughtful touches like a granite bathroom and a Keurig Premium coffeemaker. Embrace ample space and an array of amenities in the Superior King accommodations at The Lucerne Hotel. Each of our Upper West Side hotel rooms is outfitted with custom elements like a nightstand, dresser and executive desk, an HD flat-screen TV, and thoughtful touches like Aveda bath amenities and a Keurig Premium coffee maker. Room size: 220 sq. ft.
Each of the Deluxe King Rooms at The Lucerne is engineered with comfort in mind. A walk-in closet provides additional floor space, a plush king bed offers a cozy place to retire to each evening, and the granite bathroom provides a touch of luxury befitting the Upper West Side environs. Room size: 270 sq. ft. Designed to provide comfort in the upscale heart of the Upper West Side, The Lucerne Hotel’s Deluxe Double Rooms feature two plush double beds, a Keurig Premium coffeemaker, and all the comforts and conveniences you expect from The Lucerne. The Lucerne Hotel’s Accessible Queen rooms are designed with comfort in mind. We feature lowered closet bar shelves and multi-level door viewers, along with ADA compliant guest room kits, which are available upon request. Our ADA accessible bathrooms are outfitted with grab bars, a roll-in shower, a hand-held shower wand, and low level towel hooks and racks. The Lucerne Hotel’s Accessible Double rooms are designed with comfort in mind. We feature lowered closet bar shelves and multi-level door viewers, along with ADA compliant guest room kits, which are available upon request. Our ADA accessible bathrooms are outfitted with grab bars, a roll-in shower, a hand-held shower wand, and low level towel hooks and racks. Among The Lucerne Hotel’s most spacious accommodations, the Superior Queen Suite is a well-appointed and expansive suite on the Upper West Side. Prepare food using the custom-designed kitchenette, relax on a loveseat and ottoman, and recharge with delicious Wolfgang Puck coffee and tea products. 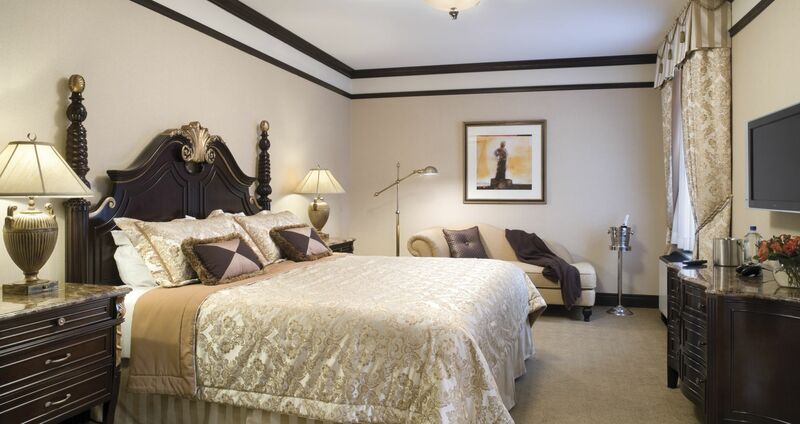 Stay comfortable and relaxed on the Upper West Side in one of The Lucerne’s spacious Deluxe Queen Suites. Each of these accommodations includes a custom designed nightstand, dresser and executive desk and chair, a convenient in-room safe, and enough space to kick back and relax in New York City’s premier neighborhood. Room size: 320 sq. ft.
Lay back, relax and enjoy The Lucerne’s exceptional Deluxe King Suite accommodations. 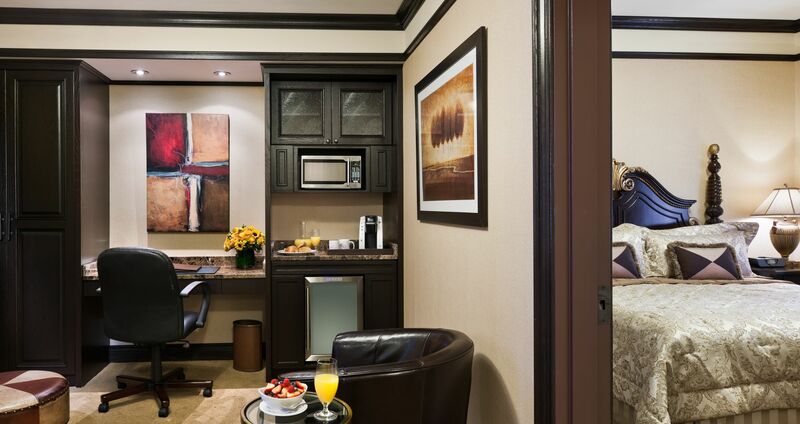 Each of our spacious King suites is equipped with custom-designed elements such as a nightstand and kitchenette, extras like a granite bathroom and Keurig premium coffeemaker and Wolfgang Puck coffee and tea. With two bedrooms, three beds and a spacious parlor with a sitting area, The Lucerne Hotel’s Deluxe Two-Bedroom Family Suite has space for families or groups visiting NYC. Surround yourself with luxury in the form of custom-designed nightstands, dressers, desk and chair combos, and kitchenettes and convenience in the form of two flat-screen TVs and a Keurig Premium coffeemaker. Room size: 430 sq. ft.